resting atop gold and white wild wreaths. 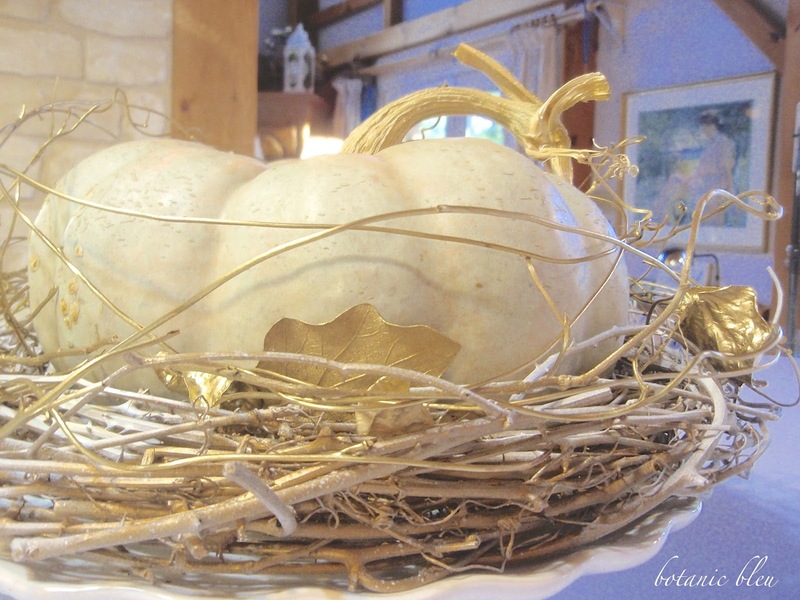 or transform your Fall pumpkin into the centerpiece of your Thanksgiving meal. 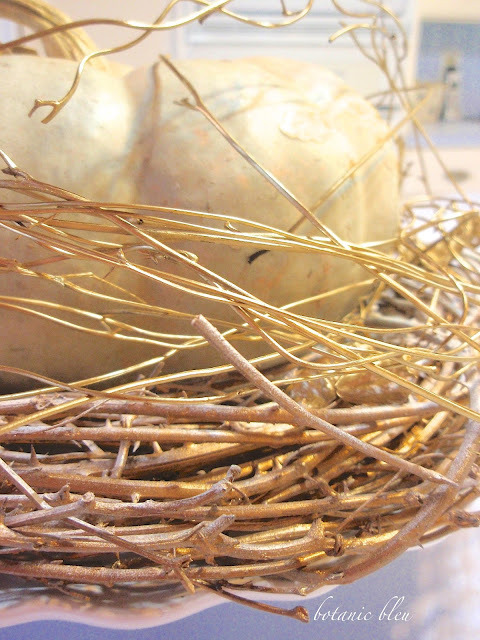 Spray a grapevine wreath with a coat of metallic gold paint. and leave some of the metallic gold spots. and continually move the spray can back and forth. Use the same metallic gold spray to paint thin, wild vines with complete coverage. and often have interesting squiggles and braided vines. 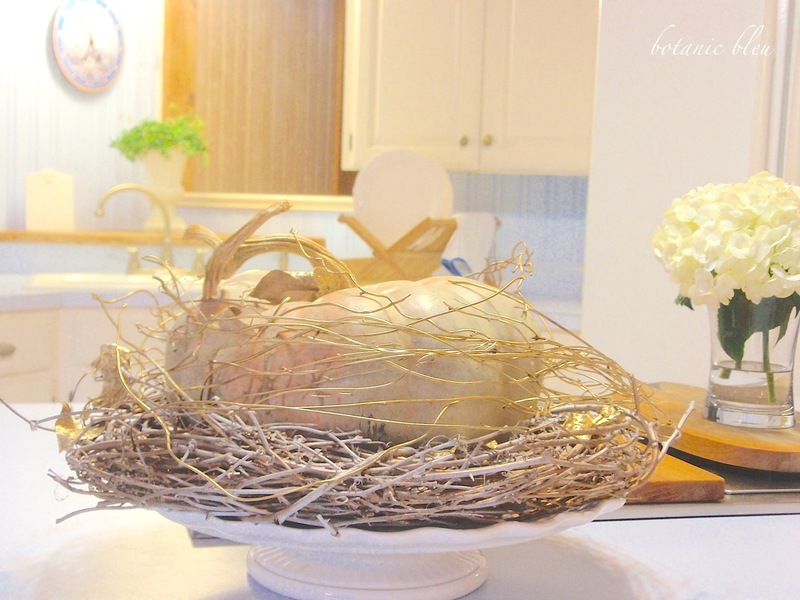 Place the grapevine wreath on a base such as a footed cake plate. A basket is another option as a base. Place the pumpkin atop the grapevine wreath. 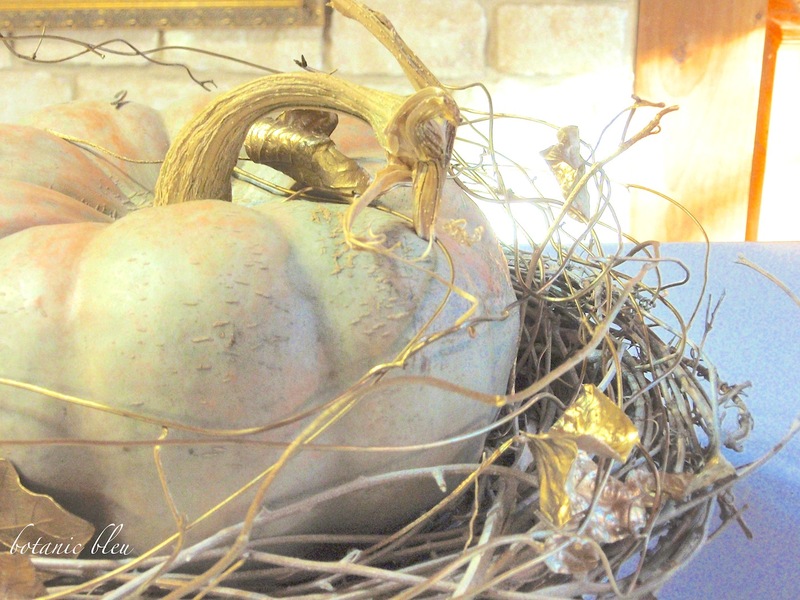 Then twist the gold painted thin vines around the pumpkin. and paint the leaves gold, also. 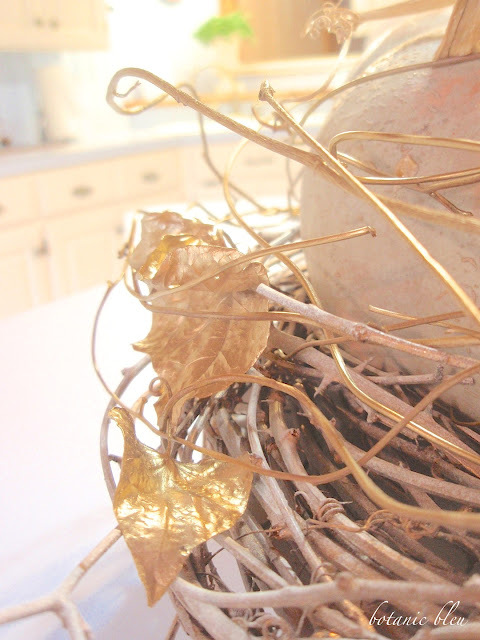 just paint loose leaves gold to add to the arrangement. and some of the vines are lifted above the grapevine wreath and over the pumpkin. 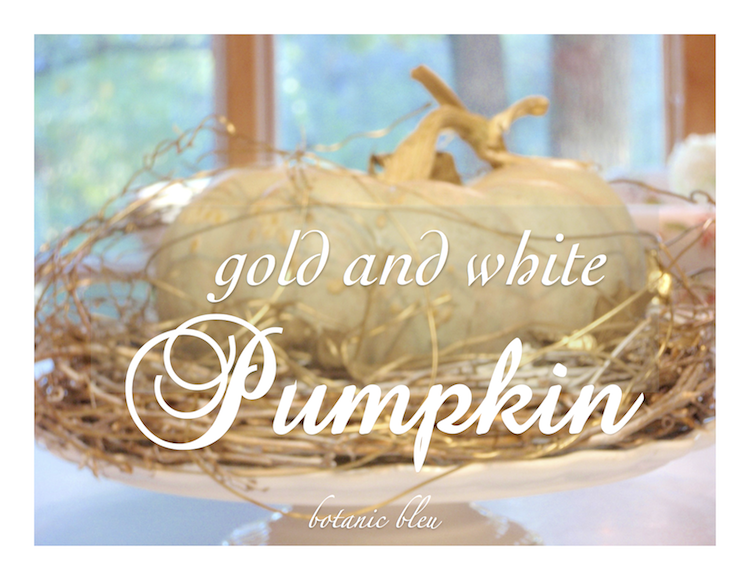 Voilà, a gold and white Thanksgiving centerpiece. Thanksgiving is just days away, and then we will be decorating for Christmas. 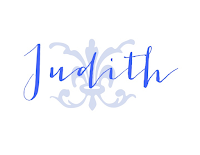 Watch for more details in the posts to come. 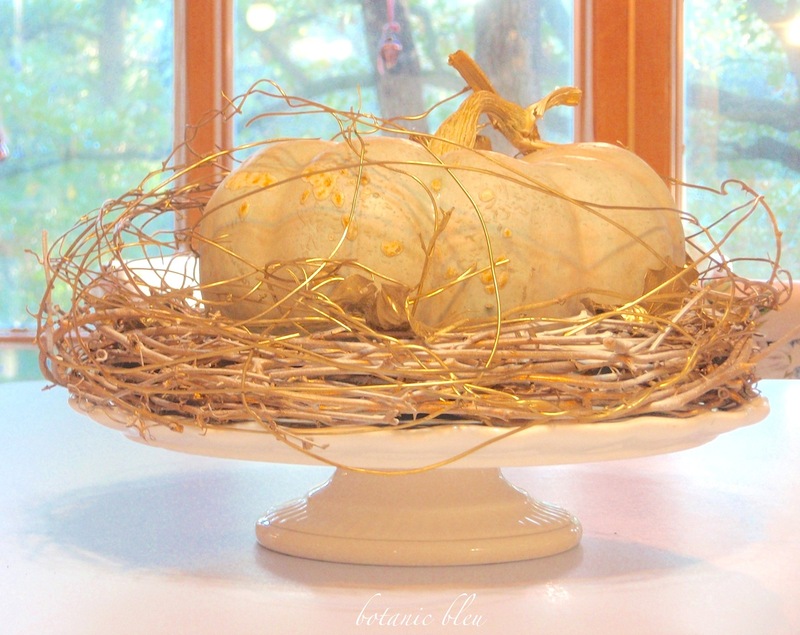 Judith the pumpkin on top of your wild branches wreath looks so pretty. Love the leaves that are still attached. Solidarité to France. Such a beautiful idea! 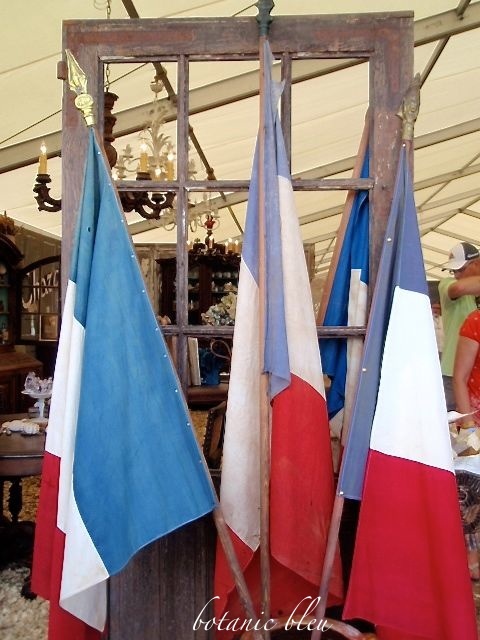 My thoughts and prayers are with our friends in France. I too am saddened about what happened in Paris. Such lovely thoughts you shared. I also adore this cute pumpkin. 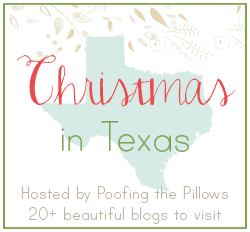 Can't wait to see what you do for the Texas blog hop. Hope you are enjoying a cozy Monday. 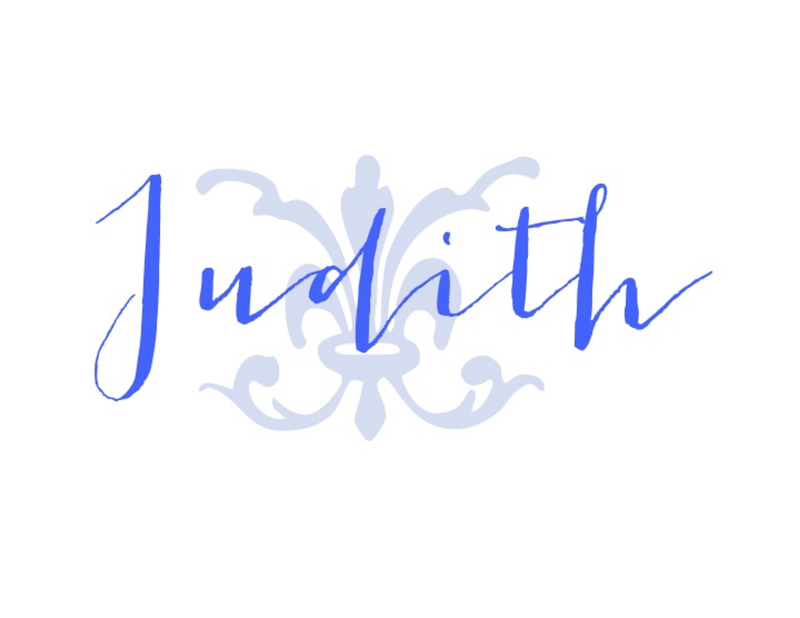 How beautiful Judith! Thanks for sharing at Home Sweet Home!